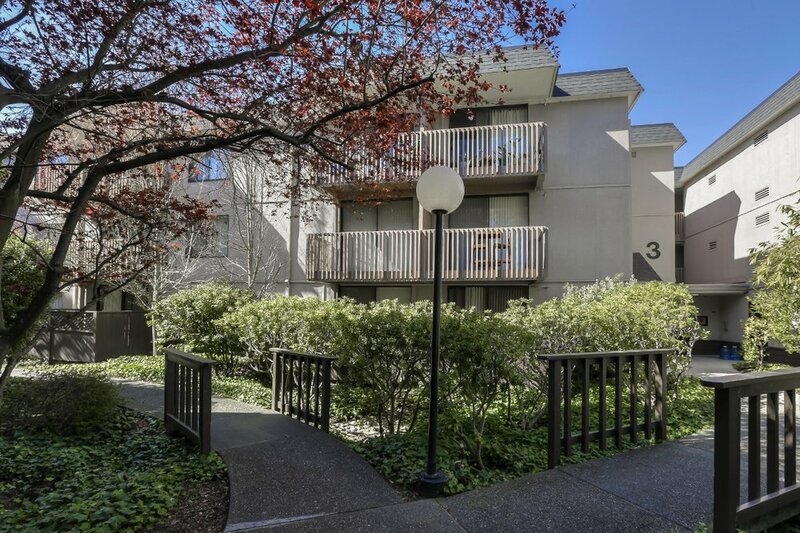 Nestled within lovely landscaped grounds of grassy knolls and trickling waterfalls in the Shelter Creek community, this court-yard facing condo is surrounded by acres of lush open space and yet is just minutes away from it all. The unit is bright and airy, with plush new carpeting and abundant natural light throughout. In the welcoming, spacious living room, a sliding glass door lead onto a balcony shaded by mature trees - perfect for al fresco dining or enjoying a cup of coffee in the great outdoors. The living room flows into an open dining area that leads to a well-appointed kitchen with gleaming white cabinetry and polished wood countertops. Down the hall, there is a full bath and two sun-drenched bedrooms. In the master suite, a hall lined with closets opens into a lovely and pristine master bath. This lovely unit comes with 2 deeded, covered parking spots. The well-maintained laundry facility is just steps away on the same floor. 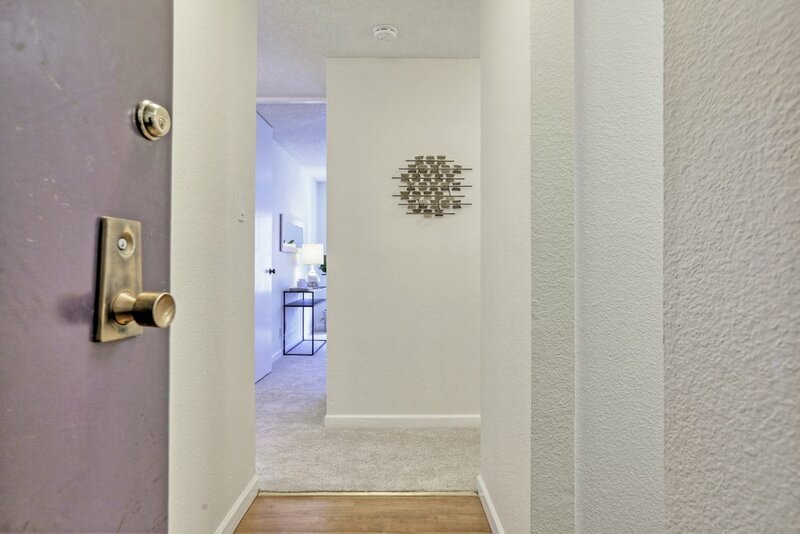 The convenient location offers proximity to the vibrant towns of Burlingame, San Bruno, and Millbrae, all with trendy restaurants, cafes, boutiques and nightlife. If you love the outdoors, explore the area’s numerous, picturesque hiking trails and take in the beauty of Crystal Springs Reservoir. HWY 280 is right around the corner for an easy commute to San Francisco and the South Bay.